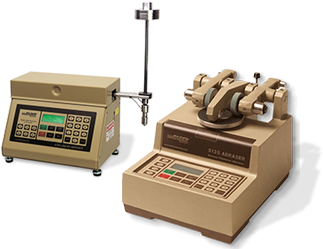 The total load of the Taber® Linear Abraser test system is comprised of the spline shaft, weight holder, test attachment and weight disc(s). 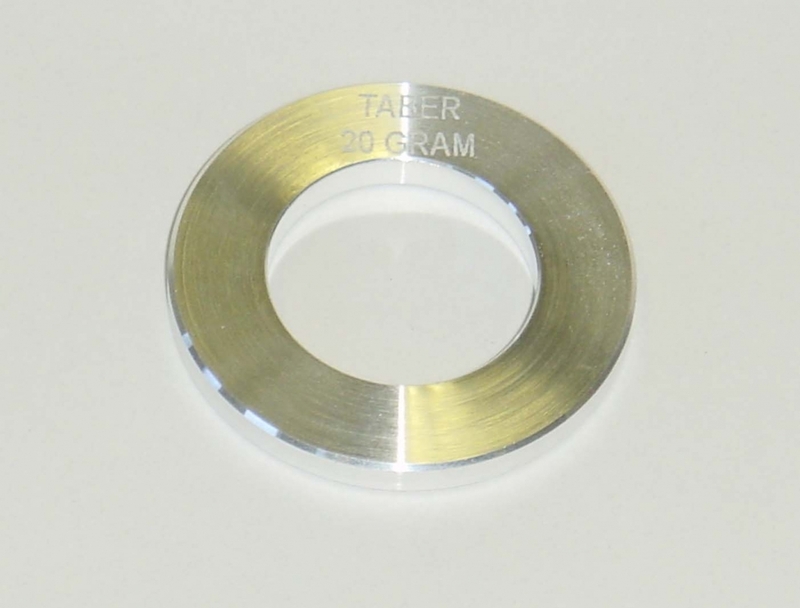 With the test attachment supplied with the instrument (Wearaser Collet) and no supplemental weights, the base load of the Linear Abraser is 350 ±1 gram. Weights may be added to the weight support to increase the abrasion test system load to a maximum of 2100 grams. 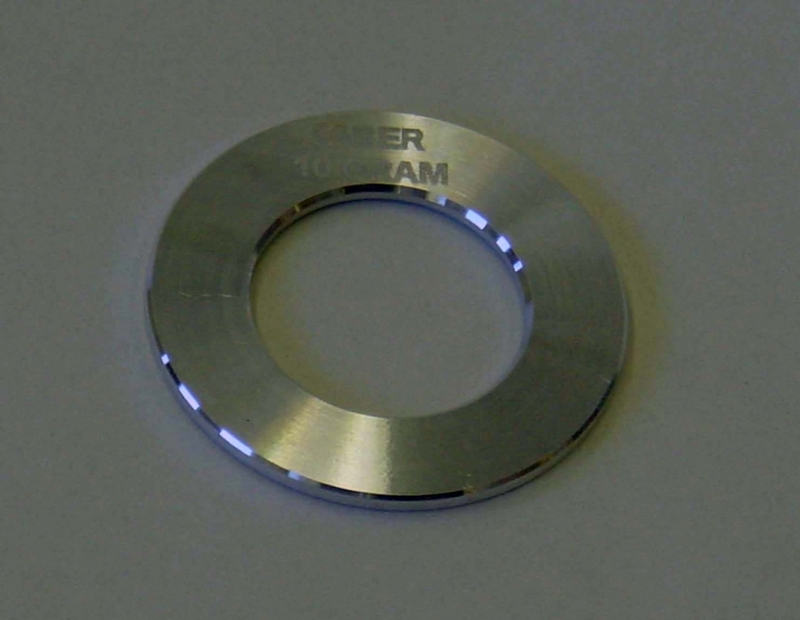 The Linear Abraser is supplied with three 250 gram weight discs. Optional auxiliary weight discs are available in masses of 10 gram, 20 gram, 50 gram, 75 gram, 100 gram, 110 gram, 150 gram, 250 gram and 1000 gram. 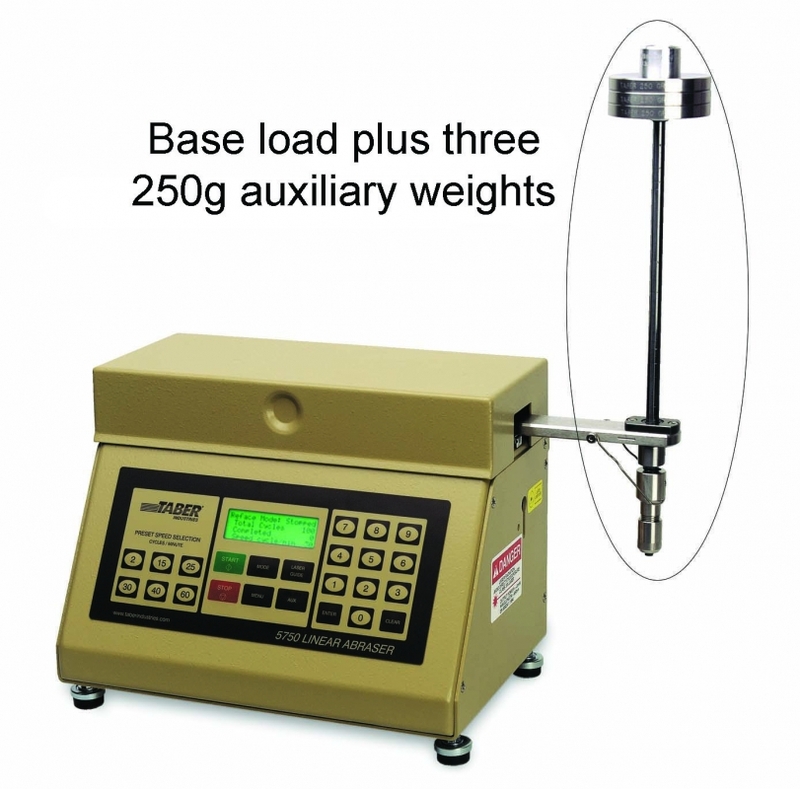 To obtain a base load less than 350 gram, one alternative is to remove the weight support (provided you do not need to test with auxiliary weights). Another alternative is to use one of two optional aluminum spline shaft kits. The 300 mm long aluminum spline shaft will reduce the base load by 95 gram (actual mass of the spline shaft is 85g). Or the 150 mm long aluminum spline shaft will reduce the base load by approximately 137 gram (actual mass is 43g). NOTE: An earlier version of the Model 5750 Linear Abraser included an Aluminum Spline Shaft and weight holder that were 85g and 167g respectively.